We are providing to our clients Piston Head as per their requirement. We are one of the leading manufacturer of Piston Head. Deck Scalers are easy to operate devices used in Ship's Deck or tank floor surfaces for removing scales and unwanted paint. The Pneumatic Deck Scalers make use of pressurized air and a number of piston heads to clear scales from the large deck areas. In our wide range of products, we manufacture and supply optimum quality Pistons. Our range is fabricated using superior quality material and is a vital part of internal combustion engine, which is used in automobiles & mechanical machines. Furthermore, this engine uses burning fuel to ease mechanical energy. Our company is one of the main exporter of Piston Head. We are engaged in the provision of premium quality Three Wheeler Piston Head to clients at budget friendly market prices. These spare parts can be installed conveniently and require negligible maintenance. Our Engineers design all types of Compressor Pistons as accurately, so that it works as real power booster. Pressure die casted pistons, gravity die casted pistons, shell moulded pistons are made out of aluminium alloys, graded closed grained cast iron. Piston rings are individually centrifugally casted out of high grade cast iron materials. Our firm is ranked amongst the reputed names in the market for offering an extensive range of Piston Front Head and Back Head. Besides, we present this series to our clients at nominal prices. Capitalizing on the ability of our skilled personnel, we are keenly instrumental in delivering a comprehensive array of Piston Front Head Back Head. We are amongst the reputed organizations, highly engaged in offering an optimum quality range of Piston Head. we are the leading manufacturer of Piston Head. Piston Head Component is a small machine tool used in the installation of pistons. 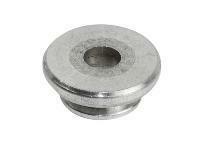 In the manufacture of our tool we are incorporating good quality raw materials with compact design. They are anti corrosive and offering a hard construction. Our piston head is available in market leading price range. 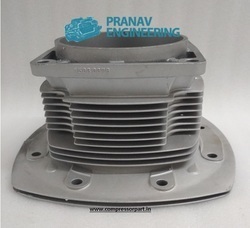 Our organization is ranked amongst the reputed names in the market for providing Three Wheeler Piston Head. Furthermore, we present this range to our patrons at nominal prices. These are Piston heads which is being Manufactured and supplied to our Customer Milton Roy India Limited & LMI/HARTELL, U.S.A. for PUMP Assemblies. - We have an expertise in the manufacturing of casting, aluminum and forging components for the compressor industry. - Our strength lies in the variety of machines that we have, that can manufacture all these parts in house, which in turn maintains quality standards.